Creating a website may seem to be a daunting task, especially if you have not done it before. However, the Internet has made so many things possible, and even easy, that practically anyone with the desire and willingness to learn can create a website on his own. There are so many guides you can follow which will teach you how to make a website. Let us do our share to help you in this regard with these simple steps to help you in starting a website if you are a complete newbie. When starting a website, you first have to determine the domain name that you want to use. The domain name is what the user has to type into the browser to visit your website. Our domain name, for example, is dailybits.com. When choosing a domain name, there are some useful tips to bear in mind. Different authority figures will have their own particular preferences, but a good list to follow is one that randfish wrote over at SEOmoz: 12 Rules for Choosing the Right Domain Name. Go for uniqueness as much as possible. Make sure the domain name is easy to type – look out for misspellings and make it short. When you have several options for your domain name, it is time to check if they are available. To do this, you have to choose a domain name registrar. Namecheap is a popular option. Once you have registered your domain name, you will still need a web host in order to store all the information that is going to be on your website. There are many choices when it comes to web hosts, and it may take you some time and a little effort to do some research in order to make the right choice. You can take a look at this GoDaddy review for an idea of what’s out there. Remember, though, that good hosting does not always mean expensive! Now you can start building your website! At this point, you may opt to purchase website building software, which will cost you of course. 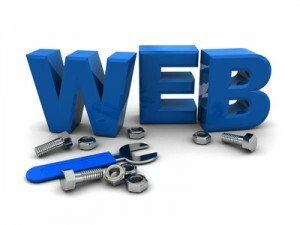 Alternatively, you can make the most of your web host service and use their free website builders. If you are a newbie, I suggest sticking to the second option first and see how it goes. It really is that simple to start a website these days. With all the tools available, you will soon find yourself enjoying this new endeavor!